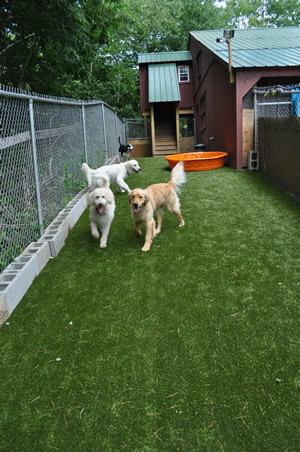 Daycare at The Four Paws Inn is like playing in a supervised dog park. 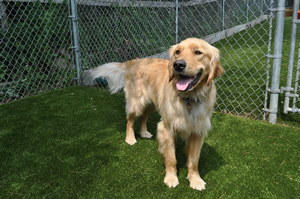 We are cage free all day and have a team of excellent staff members that supervise doggie play. 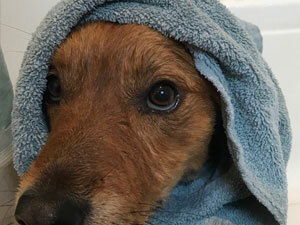 Dogs are dried, brushed and cleaned off every afternoon before they go home. Not only is it fun and great exercise, but it also develops socialization skills. 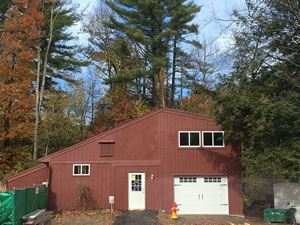 Your dog will go home happy and tired and will be excited to come back for more fun! We introduce new dogs one at a time and monitor play styles and compatibility with the other dogs. We separate dogs by play style. Small dogs are kept in their own play area attached to our house. We work with shy and non-socialized dogs whenever possible. 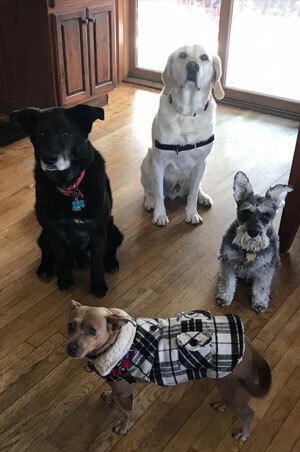 Senior dogs also enjoy coming to daycare. We keep them in the house and they are able to get socialization and stimulation from other dogs and the humans. Seniors can chose to take a nap in the office with Cristy or they can go outside and stretch those tired sore limbs! 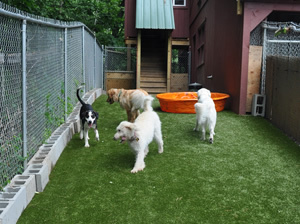 We reserve the right to refuse dogs that are not socialized or do not get along with the dogs in the play group. Dedicated to providing loving care and personal attention to all of our guests - from young pups to senior citizens. 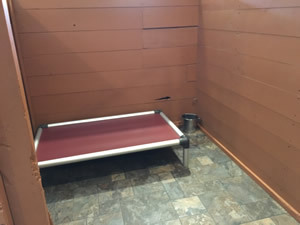 The dogs have individual sleeping quarters that are open, warm and cozy. Personalized diets, medications and special needs are always accommodated. We request you bring your own food. 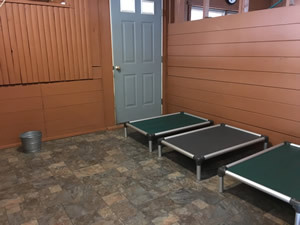 Overnight boarding is $45/dog per night. Overnight boarding includes all day cage free daycare. *Please note there is a one-time $26 per dog charge for afternoon pick up from overnight boarding. 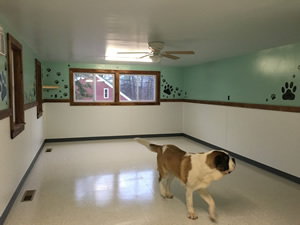 Required vaccinations for daycare or boarding: Rabies, Distemper and Bordetella (kennel cough). Flea free. I’m sorry we do not offer any discounts of any kind.